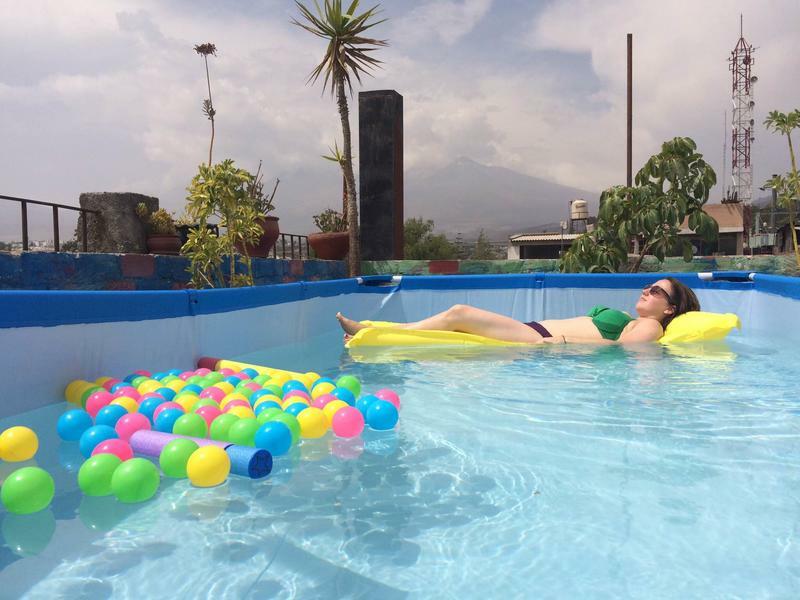 Bothy hostel Arequipa (Only 4 beds dorm and private room) is In a prime central location; Bothy is a perfect mix of midweek relaxation and weekend party, atmosphere, a great place to meet other travelers and a superb base for seeing the wonderful city of Arequipa. 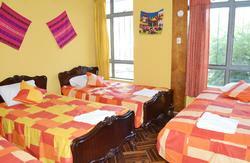 Bothy Arequipa with a super friendly atmosphere with fun and English and german speaking staff. We have 'charging lockers' in the office, completely free to use where you can safely leave your mobile phones or other electrical equipment charging whilst you enjoy the wonderful sites of the city or maybe just putting your feet up in our free movie room with many films to choose from. These lockers are locked with your own padlocks for extra safety. we have lovely rooms on the second floor starting at 23 soles, these rooms have a lot of space for the guests belongings and lockers too, with new padlocks available in the office..
Our 4 priorities: super friendly staff, clean bathrooms, included breakfast and real hot showers. We guarantee hot water all day from a central gas heating system (no more electric-shock heaters!). Dont miss our fantastic roof top where you can enjoy the fabulous view of the mountains(hammocks and sun chairs) with a cold beer or maybe just a fresh juice. Our staff are ready to help you any time organizing tours, bus tickets or anything you need to make the best of your stay in Arequipa! Whether you fancy a 3 day colca trek through the beautiful Colca Canyon or maybe just a bus to the beach it can all be easily arranged from our office. WARNING - In many cases taxi drivers try to convince travelers to go to other hostels where they get commissions. If you have a reservation with us we have a room for you, and if not we always keep some beds for travelers who have not booked in advance. Great Sunny rooftop patio has an awesome view! 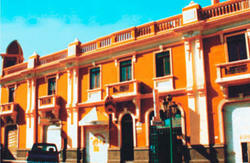 Warning: About Taxi drivers in Arequipa!! !